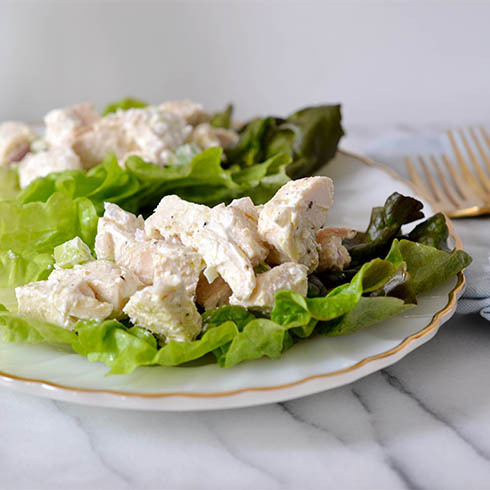 Hi MadebyGirl readers, it is Alison here from Heart of Gold & Luxury, sharing with you one of my favorite lunch meals - healthy chicken salad. There are many foods in life that are well-worth the indulgence like a rich, velvety chocolate layer cake, truffled french fries and lobster macaroni and cheese and must never be deviated from, but then there are those dishes that you can play with and make lighter and healthier. 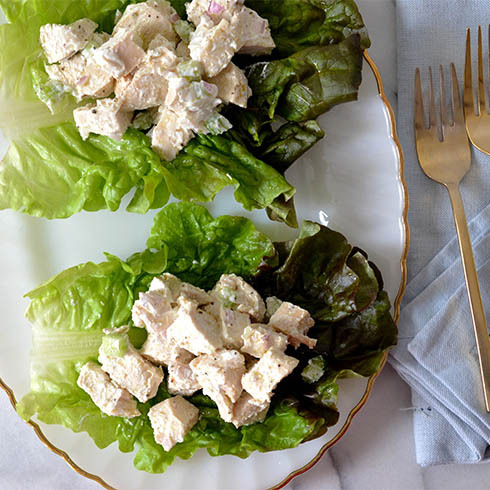 One of my favorite recipes to transform is homemade chicken salad that is equal parts delicious and creamy but without the added fat. 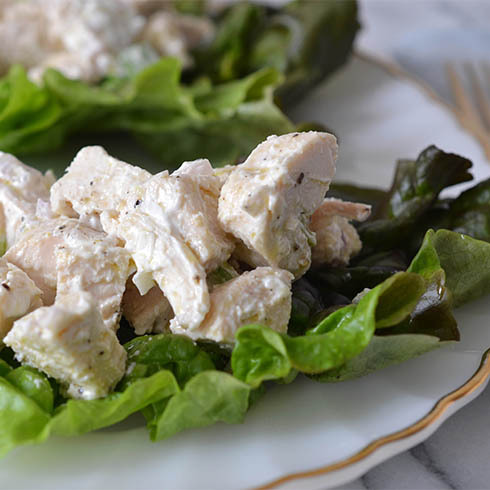 In this recipe, I swapped out mayonnaise and added tangy non-fat Greek yogurt. Initially, I was unsure if poultry would mix with yogurt, but it does, it does and has left me preferring this variety over the other. I also added a drizzle of extra virgin olive oil to make it a bit richer and added some chopped shallots and celery, which I then served atop a bed of red leaf lettuce. 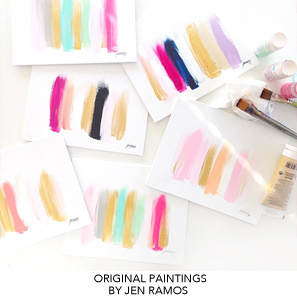 Directions: Place chicken breasts, water and 1 tablespoon of olive oil in a sauté pan. Allow for chicken breasts to poach in water for about 15 to 20 minutes. Once chicken is fully cooked allow to cool. In the meantime, chop celery and shallot and place into a bowl. Dice chicken into small pieces, add yogurt, remaining olive oil and season with salt and pepper to taste. Serve on bibs of lettuce or on top of bread. Looks yummy and super simple--will have to give this a try.